Being part of a family-owned business, Chris Grondin keeps the front end of Glass Master running smoothly as Office Administrator and Customer Service Representative. He started with manual labour in the shop, working his way up and taking on more responsibility in the main office over the last two years. Office Administrator falls under the category of Administrative Officer. 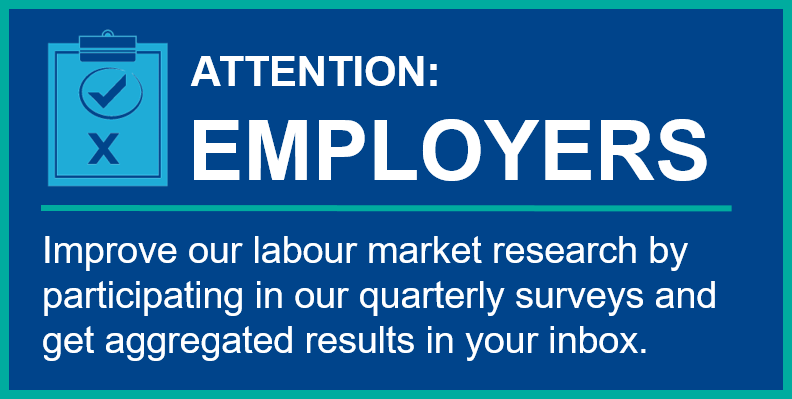 As one of the in-demand jobs in Windsor-Essex, it employs over 1,500 people regionally in a diversity of industries. 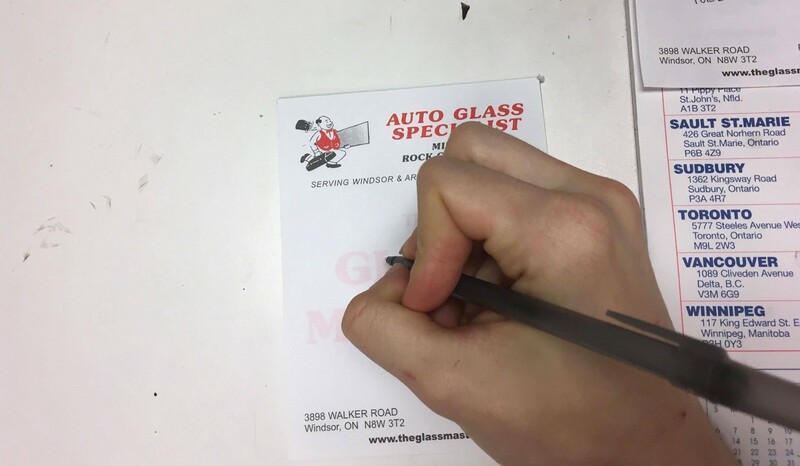 Glass Master is an independently-owned, auto-glass repair business in Windsor. From chips to cracks to break-ins, they work to repair auto-glass. The business also works with glass for tool and die shop machinery, construction vehicles, and specialty cars. 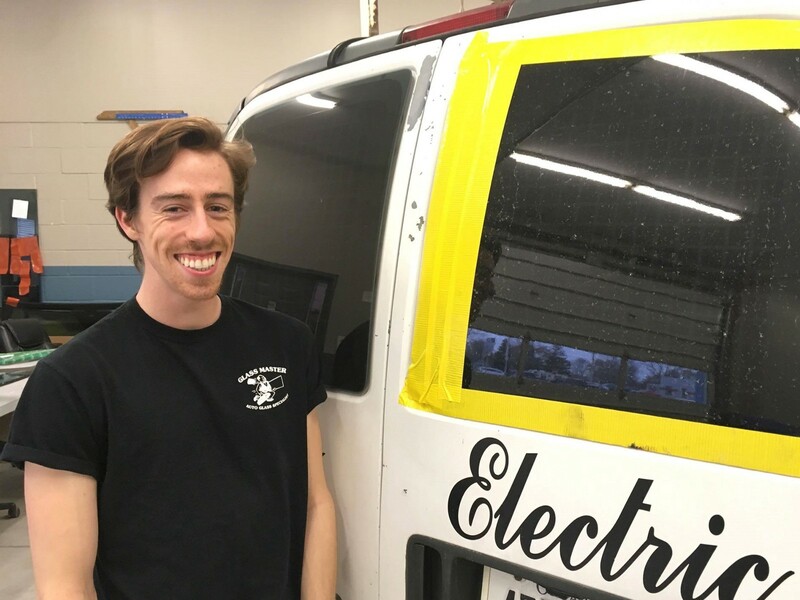 We spoke to Chris before customers started coming in for repairs, all about what his job is like. The day starts at 8:00 AM and we have appointments booked from then until close at 5:00 PM. It’s usually a full day of work. If there’s an 8:00 AM appointment, I greet the customers. Otherwise, I am in charge of everything. I book the appointments, provide quotes to the customers who call in, check the messages and answer the phone. I set up the appointments. On the computer, I do the billing, payments, emails, and oversee the website. I do a little bit of everything. The best part of my job is the freedom and flexibility. There is a structure in place, but it’s not so rigid on what I can do. I do like the freedom to organize my day and not get overwhelmed. I can dedicate myself fully to do what needs to get done. We don’t really have a set schedule here, so it’s flexible with how the day goes. I like the people I work with. It’s a family business. My dad comes in and out throughout the day. There are guys in the back that I’ve known for years. It’s a positive work environment and a lot of fun. My dad has been in the auto industry for about forty years. When the company he worked for went out of business, he decided to open his own. That was about fifteen years ago. Once I was of working age, I started spending my summers here, working part time in the back. I would help with the manual labour. As the company grew and got more successful, I did take on a more active role. There was a need for me here and it was family related, so I got to help out. It originated with me hanging out and helping out — probably my dad saving money on a babysitter — and then I ended up liking it and being pretty good at it. As your role grew in the business, what kind of training did you receive? There was a mix of training and figuring it out as I went. My dad has been a really good support, especially if there are things I don’t really understand or know. He’s always a phone call away, very accessible and helpful. He helps me with unique pricing or if there are schedule conflicts; he’s really good at solving that. In terms of the technology and software that we use, our accountant was very helpful with that and has a deep understanding of how it works. She and I worked together for a month or so, just getting me really comfortable with the programs and doing the billing, payments, and banking. The rest was just figuring it out. The work environment is very comfortable, so if I don’t know something, there is an answer somewhere, I just have to find it. I’ve really developed a sense of professionalism, working face-to-face with customers and being the one who answers the phone. You can’t just be like, “hey what’s up?”. It’s a professional business and I’m in a professional role. It’s helped me understand that and embrace that more. I’ve been able to take that forward with everything else I do, like volunteering or when I meet new people. Don’t let yourself get overwhelmed. It happens and it still happens to me even after doing this for a couple of years. Time management is really important, no matter what industry you are in. Once you feel like you’re running out of time, you feel the crunch, feel the stress, and then it spirals into a vicious cycle of not wanting to do anything. We want to be able to fix everyone’s problems, but I’ve learned that you can’t do that all in one day. Give yourself the time to do what you need and find a support. Find an advisor or a mentor, whether that’s your boss or colleague who can direct you. It’s important to feel like you’re not doing everything on your own. Why is Windsor a unique place to do this work? Windsor is the Automotive Capital, so in this field, it’s important. It’s a booming industry, so it’s good. There is a little bit of everything here. I would consider it a half-way between a big city and a small town, which is good because it has the quirks of both. You get the quaint independently owned businesses, like coffee shops, restaurants, clothing stores, and companies like us. We have a lot of people with a lot of ambition living here who want to make a change.